WFTV.com - News - Police: Man Angry About Slamming Door Killed Neighbor: "BELLEVIEW, Fla. -- It's an unusual motive for murder. Investigators in Belleview said slamming the door drove a man to kill his next-door neighbor in Marion County." "Investigators believe Betty Shepperd was murdered over something that sounds extremely trivial. 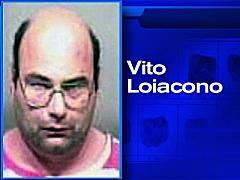 They said 45-year-old Vito Loiacono was irritated that Shepperd was slamming the door at night and waking him up." Ok the lesson here is do not slam your door, because in most cases it pisses your neighbors off. However, killing your neighbor is not the solution.